The Miami Fusion were a part of the first MLS expansion in 1998 with the Chicago Fire. The expansion moved the league to 12 teams and the historically awkward three conferences. One again like the Tampa Bay Mutiny, an uninspired fan base, dwindling ticket sales, and large revenue losses led to the contraction of this MLS franchise. The Fusion were only in the league for four years, and their departure along with the Mutiny in 2001 has left the state of Florida without an MLS team for over a decade. This will change as Orlando City FC is set to join the MLS in 2015. Lockhart Stadium was renovated in 1998 to be a soccer specific facility with a capacity of 20,450. The Fusion were the first team to play in a soccer specific stadium. The Fusion were only able to muster an average attendance of 9,403 over the four years that they were in the league. I have had quite a few followers ask for historical attendance data for each team, so for the next few weeks I will post each team and their attendance over the years since they have joined the MLS. I will start today with one of the two defunct franchises, the Tampa Bay Mutiny. The Mutiny were one of the original 10 MLS franchises to start in 1996. They had some initial success but lacked support later on as they traded their big name players for little in return. Don Garber was unable to find an owner for the team so the team folded. They played their first three years in Houlihan's Stadium which had a capacity of 74,301 and was the home of the Tampa Buccaneers. The stadium was reduced to a capacity of 16,000 for soccer games. 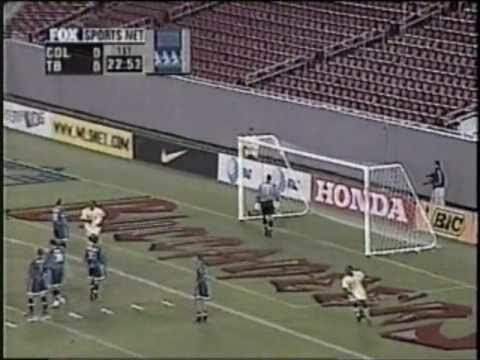 The final soccer game played in Tampa Stadium featured a crowd of 27,597 as the Mutiny beat the New York MetroStars (now the New York Red Bulls) 2-1. The Mutiny moved to Raymond James Stadium along with the Buccaneers in 1999. The stadium had a capacity of 66,321 at the time, but once again it was artificially reduced to 32,000 for Mutiny soccer games. Listed is the attendance of all six years that the Mutiny were active in the MLS. They had an overall average of 11,106 over the six years. First off I would like to say thank you very much to the Columbus Crew communications office for reaching out to me and giving me some data on some discrepancies that you very observant readers have noticed. Here are some points that he stated for me in an email that clarifies the situation. He also includes some cool statistics and historical data. All of these are official MLS modifications made along with the Columbus Crew. - As a point of clarification, the official MLS attendance for the Columbus Crew vs. FC Dallas match, originally scheduled for June 28, 2014 and then rescheduled for June 29, 2014 due to extenuating circumstances, is 20,617. - This was an unprecedented situation for both the Columbus Crew and MLS, and after further dialogue and clarification with the League, the official ruling on the attendance figure is 20,617, since that was the number calculated within the League’s standard attendance reporting structure. - This clarification should have been communicated to the appropriate audiences sooner, but because of the unique nature surrounding the events that took place the weekend of June 18-29, the interpretation of this attendance data was delayed. - The FC Dallas match is officially classified as a sellout at Columbus Crew Stadium, the first of the 2014 season. The July 19 match between the Columbus Crew and the Montreal Impact is officially classified as the second sellout at Crew Stadium for the 2014 season (attendance of 21,112). - The last time the Columbus Crew posted two sellouts in a single season was during the 2007 campaign. Prior to this season, the last sellout at Crew Stadium was Saturday, August 31, 2013 against Seattle Sounders FC. - An additional point of clarification is the new seating capacity at Crew Stadium, which changed at the beginning of the 2014 season from 20,145 to 19,968 due to physical improvements in the east stands that involved providing more access portals to the lower concourse and replacing the bench seating with individual chairback seating in the three center sections of Premier East. These two construction projects reduced the overall seating capacity in the stadium. It is possible for the club to accommodate more than 19,968 fans in standing-room areas, such as the north bridge, as was the case in both of this year’s sellout games. I updated the attendance a couple weeks ago, but I will now update the capacity of Crew Stadium. They will most likely have another sellout this weekend as they have now organized a ceremony for Landon Donovan to honor his last game in Columbus. 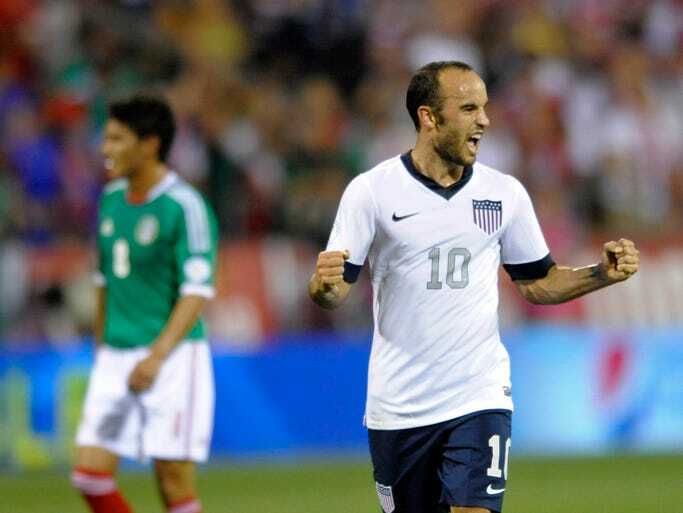 He has had some great moments in Crew Stadium including this recent “dos a cero” win against Mexico in 2013. Also sorry for the delay in this week’s attendance. I had to wait for the FC Dallas attendance to be posted before I could post the weekly update.